Leaky roofs damage items in your attic and home and the moisture can lead to mold growth. Homeowners often only discover that the roof leaks when there is a heavy rain and it starts dripping inside. Don’t let this happen to you by learning the signs that you need a new roof so you can be proactive in your home maintenance. One of the signs that you need a new roof is if you see missing shingles. You may not think about looking up at the roof or ever checking it, but it’s good to pay attention while you are cleaning the gutters or putting up holiday decorations. One or two missing shingles can cause a significant leak, and if you are missing shingles all over the roof, it may be time to replace it altogether. Another one of the signs that you need a new roof is cracked shingles. When a shingle cracks or splits, it leaves the underlying material vulnerable to the elements and your roof is more likely to leak. The more widespread the damaged shingles are, the sooner you’ll need to get your roof replaced. Age is the number one factor in a deteriorating roof and one of the most definite signs that you need a new roof. Most shingles are meant to last a 25-year maximum and they could age even more quickly depending on the weather and the number of storms the roof has sustained. Roofs can look great from the ground yet still need to be replaced because many of a roof’s problems are hidden from view until there is a leak. Roofs made from other materials like metal or clay have a longer lifespan than asphalt. 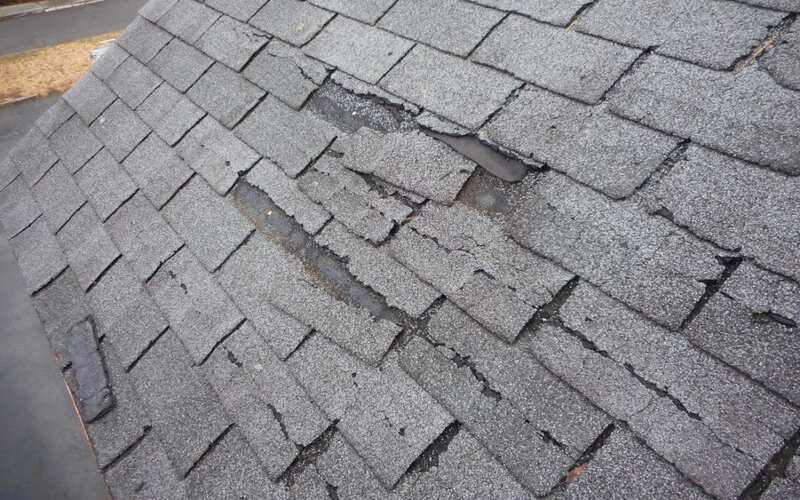 This is another one of the many early indicators of an aging or failing roof and is one of the signs that you need a new roof. Those granules are what keeps sunlight from hitting the asphalt, and without them, your roof is less protected from UV rays and is more susceptible to leaks. This is a no-brainer as one of the signs that you need a new roof! If sunlight can be seen in the attic, then rain can also get inside. If this happens, the first thing you should do is check for existing water stains and then replace your roof before any damage occurs. Catching a problem early on is key to limiting damage and expense. While some repairs can be done yourself, it is best to hire a professional to install a new roof. Once you understand what the signs that you need a new roof are, it is simple to stay up to date and manage any repairs over the life of your roof. Rhode Island Real Estate Inspection Services serves all of Rhode Island with home inspection services including aerial drone inspections for roofs. Contact us to schedule your appointment.